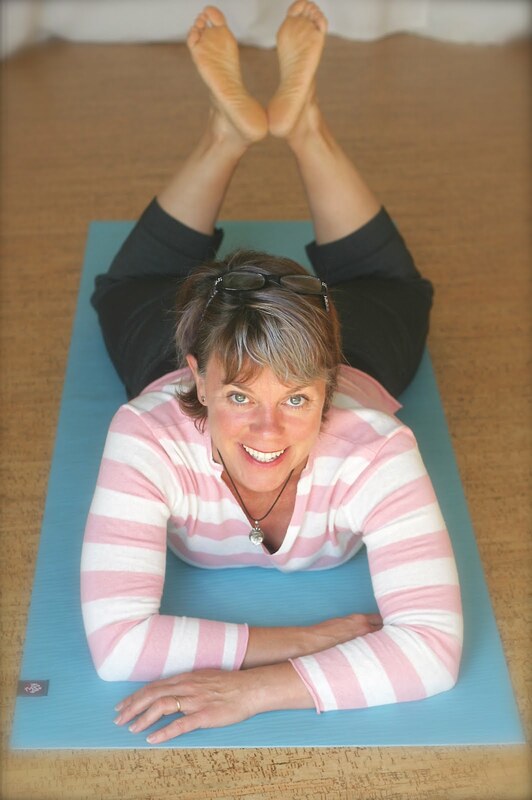 Think Somatics | Change for Good: Are you ready for a change? According to James O. Prochaska, we go through stages of change before developing a new habit. The stages include precontemplation, contemplation, preparation, action, maintenance, termination, and recycling. ...you can't see your toes, you are on a first name basis with counter girl at Taco Bell, most of your foods are white. And even though you're only 38 and walking a flight of stairs leaves you breathless, you don't see any problems in your lifestyle. Yeah, you're in the precontemplation mode. ...maybe your doctor or just the mirror on the wall tells you you need to get movin'! You call a trainer first thing Monday morning and want to "get started yesterday!" But by Tuesday your enthusiasm has fizzled. You are aware that you need to make some changes in your lifestyle, but your mind and body aren't in sync, yet. You're in contemplation mode. ...awesome! You've made a commitment to your neighbor to start walking every morning together before work. You both are getting into a groove, but are easily thrown off track if you let weather, work or late nights get the better of you. But on the days you do walk, you discover you feel better, have less stiffness and sleep sounder. You have started! You're in action mode. This is the stage where you make conscious decisions, every day, to stay committed to your goals. ...Yeah! Your exercise program is as routine as brushing your teeth. What use to be a battle of your internal will is now just a part of your life. It took awhile to get here, but looking back you wonder what the big deal was. You're in Maintenance mode! Just know, that getting here does take time. It generally takes 3 to 12 months to develop a new habit. ...well, the good news you got a promotion, the bad news it's in a new town and you're living out of boxes while in transition.... you're feeling anything but routine. You can fall back into any of the previous stages, but the sooner you tackle just one small change the sooner you will be back into a regular routine. The recycling stage gives you an opportunity to try something new. Find a running trail near home, volunteer to walk dogs at the shelter, check out a local basketball league. Sometimes things really throw us off our game. Regroup and you'll get there. A personal trainer or health coach can help you get back on track, or help you with any of the previous stages too. Remember, for most of us, change, even for good, can be scary. But the results of not changing can be even scarier. Start small. When people first start developing a healthier lifestyle the first thing they want to do is everything! Instead, tackle one change at a time, such as walking to work, eating more veggies, or drinking less booze. Master a new habit, then add a new one. Good luck! but I'm recycling it because it's always a good reminder. Cheers! That's CHANGE I can live with! I really like my Nordic poles. This is an interesting site. I don't think of change as scary. Change is a part of life. So, even in one's exercise routine, change should be embraced as a positive. A simple change for me came from alternating my exercise between indoor and outdoor activities. I used to spend all of my work-out time in a gym and I never truly felt energized when I walked out the door of that air-conditioned space. When I walk and exercise vigorously in the fresh air, I feel like the world is my oyster. I agree that change is a part of life. I don't fear change either, but I find some folks do when breaking a habit that can affect so many aspects of their lives. Hopefully they'll look at like you do: as something positive! One important change for me was deep-sixing the notion of the quick-fix. No more wishful thinking about being 20 pounds lighter or two sizes smaller in a month -- or ELSE! Besides, feeling good is more important than how I look! Got over that hurdle. I fell prey to the all-or-nothing mindset and felt like a constant failure when I didn't reach those elusive goals. Now, I realize that healthy changes unfold over time and I am soooooooo happy for that realization! I'll vist this site more often. It has a realistic approach to better health, through better living, and better attitude! Onward through change -- and acceptance. My God you are funny!! If you are as good of a trainer as you you are a writer then you may inspire someone like me to sign up! I'm a 37, going on 38, year old woman. I am starting to feel old, there's white hair showing up on my head and am the perfect example of a 'use-to-be' when it comes to fitness. I used to work at Nike, used to lift weights, used to mt. bike, used to snowboard, and used to attempt running from time to time .. but my knobby, falling apart knees got in the way of the running. Then I got married, moved overseas with my family for a while, had two kids, and tossed going to the gym to the side. I was too tired and too busy doing other things. That was 11 years ago almost to the day. I am not overweight, well not really, maybe 4 lbs can go. However, gone are the days feeling strong, I feel like a wimp and that person out of breath at the top of the stairs - that's me! 11 years went fast, and now I am can't help but to think "Uh Oh, now I've really done it". What do you offer that isn't going to kill me .. running up Mt. Tabor steps ... that would kill me... I am interested in building back my core strength, toning my legs and getting some strength back in to my arms. I saw that you offer a Triple A class- is that available in the AM at all? I am still not sure I am ready for this, but if another 11 years go by again, I am in real trouble! You bet I can help you get back in gear. Feel free to call or email me to talk more. All my contact info is on my website. As far as classes go, I plan to add a morning triple A class as well as Ballet Bootie classes, so stay tuned!